Finish off that sporterized military Mauser by replacing the ugly, issue shroud with this streamlined, classy, commercial-style shroud. 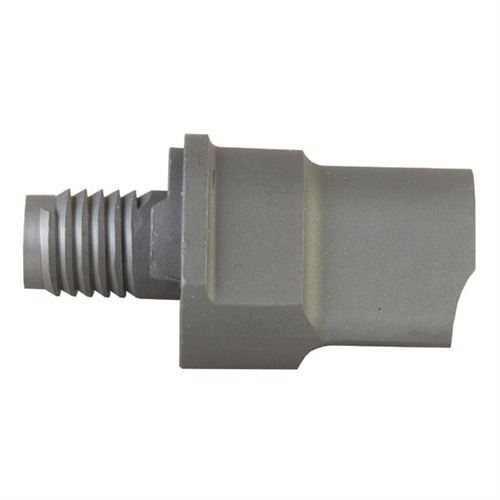 Greatly improves looks of the bolt and eliminates the awkward, over-the-top, military safety. Since the original safety is removed, you must INSTALL A TRIGGER WITH ITS OWN SAFETY (like the Timney). SPECS: 2¼" (5.7cm) long, 1¼" (3.2cm) wide. 2 oz. (56.7g) Investment cast steel, beaded finish. Large Ring fits all M98's. Avslutt at sporterized militære Mauser ved å erstatte stygge, problemet liksvøpet med denne strømlinjeformet, stilig, kommersielle-stil likkledet. Sterkt forbedrer utseendet til bolten og eliminerer vanskelig, over-the-top, militær sikkerhet. Siden den opprinnelige sikkerheten er fjernet, må du installere en UTLØSE med sin egen sikkerhet (som Timney). Spesifikasjoner: 2¼"(5.7 cm) lang, 1¼" (3.2 cm) bred. 2 oz (56,7 g) investering kastet stål, beaded finish. Stor Ring passer alle M98 ' s.
The only reason I gave it one star is because they did not have a Zero. I do not have any problem with fitting parts, that's what a gunsmith does, This part was not machined well after casting. The front shoulder was left about .040" long, stopping the bolt lugs from locking up. This area should have a gap of about .020" and is not critical to function to be tight. I would need to make a mandrel to hold in the lathe to make it come close. I just found it to much time to make a mandrel for only 1 shroud that I have ever had to fit like this. In my haste to find a bolt shroud, I went no further than the product description. This is no drop in part. Will require machining, polishing, etc., for proper fit. Bolt lugs will not lock up without excessive force which is not acceptable. After reading the initial reviews I was sceptical about this product but not being able to find another option I figured I would give it a try. The finish was s little ruff but not terrible. Fitting wasn't an issue I spent about 30 minutes doing minor fitting and it worked flawles. I wouldn't recommend this part to any one who is not familiar with the operations of this rifle or fitting parts. In final works well and took s nice cold blue. My customer was very pleased. Produsentnr. : 330 Avslutt at sporterized militære Mauser ved å erstatte stygge, problemet liksvøpet med denne strømlinjeformet, stilig, kommersielle-stil likkledet. Sterkt forbedrer utseendet til bolten og eliminerer vanskelig, over-the-top, militær sikkerhet. Siden den opprinnelige sikkerheten er fjernet, må du installere en UTLØSE med sin egen sikkerhet (som Timney).